200 Mamoroneck Ave, Suite 401, White Plains, NY 10601. 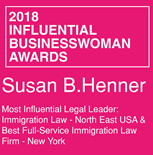 Ms. Susan Henner practices exclusively within the field of immigration law. She is experienced in handling all types of immigration cases from business-related immigration matters and visa petitions to deportation cases. She has secured temporary visas, permanent residence and citizenship for thousands of clients and employees. Current and past clients include: Fortune 500 companies, large accounting firms, major advertising agencies, start-up companies and individual persons in search of professional and efficient immigration legal services. Ms. Henner has also saved hundreds of clients from deportation. She is experienced in handling family-based immigration cases as well as criminal immigration matters. She works frequently within immigration law to assist employers and agents to obtain Artist, Athletic and Entertainment Visas for their clients, to help Special Immigrant Juveniles, to represent persons seeking Asylum and Cancellation of Removal, and those facing criminal immigration issues. Susan is the current co-chair of The Westchester County Bar Association’s Committee on Immigration and Nationality Law. She also serves as an Adjunct Professor at New York Law School in the Safe Passage Program, which is responsible for securing legal representation for unaccompanied minors. She is also a Board Member and serves as the Vice President of the non-profit Safe Passage Project Corporation. Other memberships include the American Immigration Lawyers Association (AILA), the Westchester County Bar Association and The Business Council of Westchester. 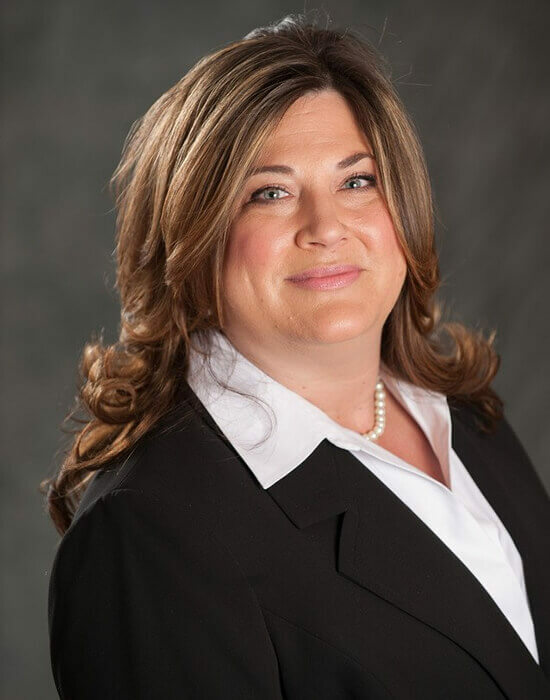 In 2004, she was awarded the Business Counsel of Westchester’s “Rising Stars: Forty Under Forty” Award for outstanding professionals under the age of 40 in the Westchester County area. She has also received national recognition by various legal groups to include: AVVO (Excellent Rated Attorney); Covington Who’s Who; and The Heritage Who’s Who. 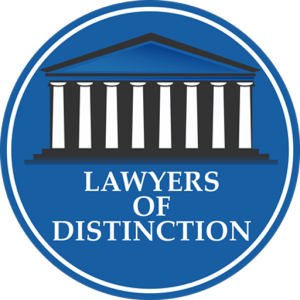 In November 2011, she was listed in Arrive Magazine as one of the “Top Northeast Attorneys: Best and the Brightest.” Susan is also a member of The Global Directory of Who’s Who (Top Lawyers). Ms. Henner is admitted to practice in New York. She received her B.A. from State University of New York at Albany (1991) and her J.D. from New York Law School (1994). Ms. Doscher is an attorney admitted to practice in the State of New York in April, 2010. She earned her JD from Touro Law School (2009), and she possesses two separate Bachelor’s Degrees from Columbia University (2006) and the Jewish Theological Seminary (2006). During law school, Ms. Doscher was awarded the CALI Award for achieving the highest grade in Health Care Law. Ms. Doscher’s previous legal experience includes a Judicial Clerkship with the U.S. District Court, Eastern District of New York, a Clerkship at a prestigious immigration law firm, and internships at AIG and the King’s County District Attorney’s Office in Brooklyn. Katherine is a member of the American Immigration Lawyer’s Association and the American Bar Association. She performed pro bono work for the American Joint Distribution Committee Legal Department and she has been assisting the Safe Passage Project at New York Law School with the representation of minors since September 2012 on a pro bono basis. She speaks proficient Hebrew. Ms. Doscher has been an Associate of the firm since 2010, and she is well-versed in many areas of immigration law to include family-based petitions, VAWA, SIJ, Adjustment of Status, Naturalization, Bond Hearings and Removal (Asylum and Cancellation). Ms. Ilham Elkoustaf is bi-lingual attorney with over 10 years of experience at the intersection of law and policy. A member of the New York State Bar, Ms. Elkoustaf graduated from Princeton University (B.A. 2002) and Emory University School of Law (J.D. 2006). She honed her legal, research and advocacy skills at the ACLU, NYCLU and Legal Aid. Ms. Elkoustaf has represented victims of domestic violence in immigration-related cases and served as an in-house counsel for an entertainment company as well as a foreign diplomatic mission where she managed all immigration related matters and issues of international law.